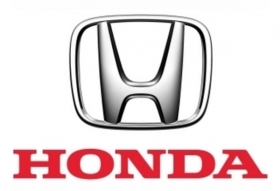 LONDON -- Honda said it will strengthen its lineup with the introduction of a new SUV in Europe, where the automaker is looking to end a sales and profitability slump. The vehicle will be based on the next-generation Jazz subcompact, which will be launched next year, Honda CEO Takanobu Ito said. The subcompact SUV market is forecast to grow to half a million models in Europe by 2018, according to analysts IHS Automotive. Last year it passed 200,000 with sales dominated by the Nissan Juke and Dacia Duster. "The Juke is an example of a car that has created its own niche," a Honda Europe spokesman told Automotive News Europe. "It wouldn't be a direct competitor but would be in the same sector." Competitors for the new Honda will included the forthcoming Peugeot 2008, previewed in concept form at the Paris auto show, and the Opel/Vauxhall Mokka, which goes on sale early next year. Former Opel CEO Karl-Freidrich Stracke told journalists at the Geneva auto show earlier this year that he expected the Corsa-based Mokka to sell more than 50,000 units a year. Honda's new SUV likely will be built in Swindon, near London, although the plant will have to bid for the job, a spokesman said. "It's never something that's definite, but obviously the Jazz has been built there since 2009," he said. "Bringing cars from Japan is not profitable." In 2007, Honda sold a record 331,000 cars in Europe, had a market share of about 2 percent and made a profit. Since then, sales have been more than halved – the volume was about 159,000 in 2011 and 92,200 after eight months of 2012, according to industry association ACEA. In addition, Honda's market share has fallen to 1.1 percent, which has cause consistent financial losses at the carmaker's European unit. Honda Europe President Manabu Nishimae told Automotive News Europe earlier this year that a revived model lineup featuring new powertrains, such as a new 1.6-liter diesel engine that will debut in the Honda Civic in early 2013, will push sales to 300,000 again and make the Japanese automaker profitable in Europe by the automaker's 2013-2014 business year. Last week, Ito said Honda aims to increase global sales to more than 6 million cars by 2017, up from just over 3 million last year. Growth is targeted in both mature and emerging markets, with the latter accounting for half of the planned 6 million. The new Jazz, which is sold as the Fit in some markets, will be first model to launch as part of a "global operations reform," Ito said in the speech on Friday. This will "enable Honda to realize the best vehicle specifications with competitive costs," he said. As part of that reform, cars will be launched globally simultaneously with parts shipped to factories "from the most competitive region" to save on costs. The subcompact SUV will also be sold globally and Ito raised the possibility of U.S. sales after saying that Honda's new Mexico plant will start producing the new Jazz/Fit "and a derivative model" starting in spring 2014.